What Sets Team Fastrax™ Apart? Team Fastrax™ has performed thousands of exhibition skydives at every entertainment venue imaginable. The team has performed as far away as Moscow, Russia, Doha, Qatar, Yanchi, China, Normandy, France and other notable countries. 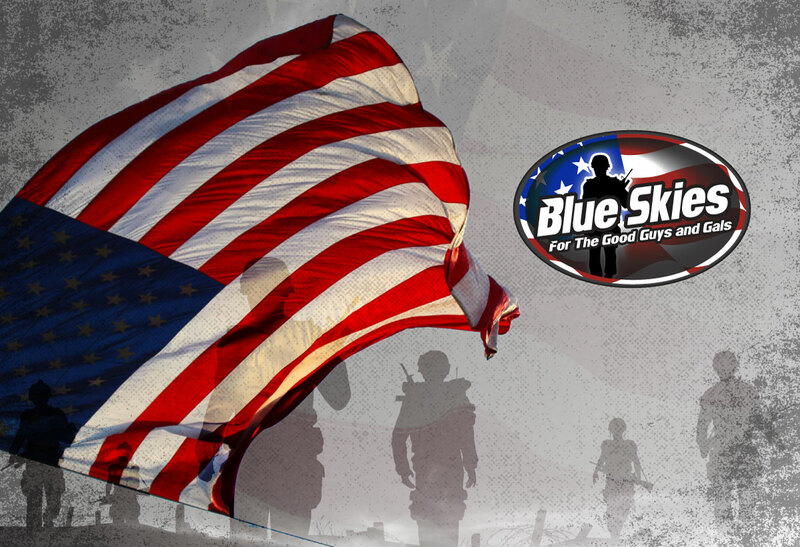 The skydive team consists of many Armed Forces veterans and is approved to jump into highly-restricted airspace. 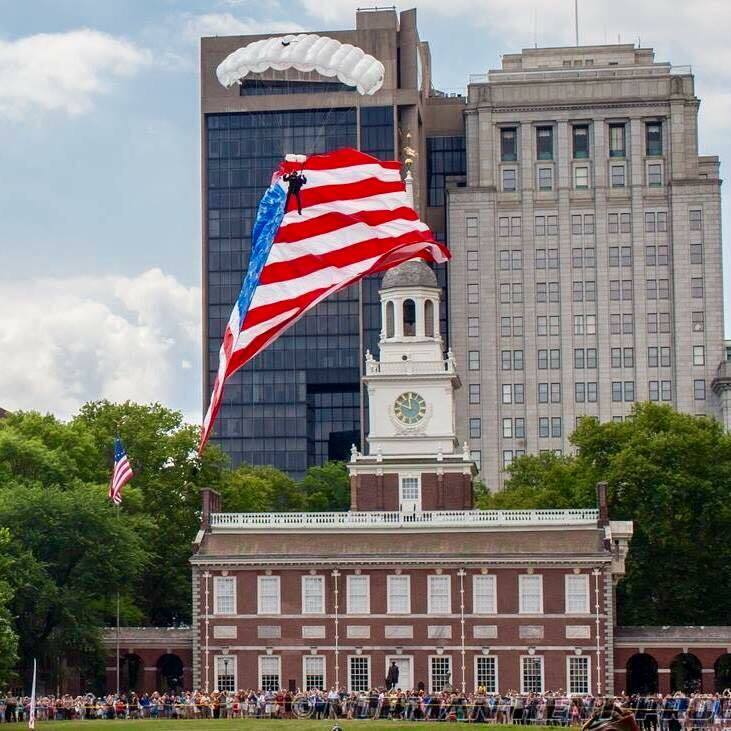 We are the only civilian parachute demonstration team to have performed over Ground Zero on 9/11 in New York City, the Pentagon in Washington, D.C., Independence Hall in Philadelphia, PA and over the Arizona Memorial in Pearl Harbor, Hawaii. If you are planning a football opening ceremony, special football show, or after game event, Team Fastrax™ has a demonstration skydive to match your needs. 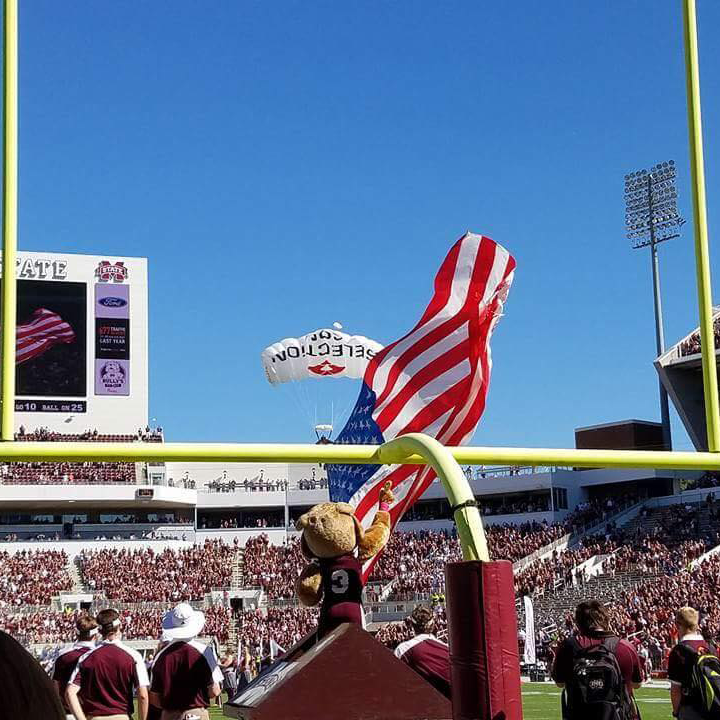 Football events typically feature our patriotic show, an American flag demonstration skydive. Our parachute team will exit the aircraft over the football stadium and descend to a precise landing, thrilling the spectators, making an amazing football halftime show. If you are planning a NASCAR or Formula One event, Team Fastrax™ has a demonstration skydive to match your needs. 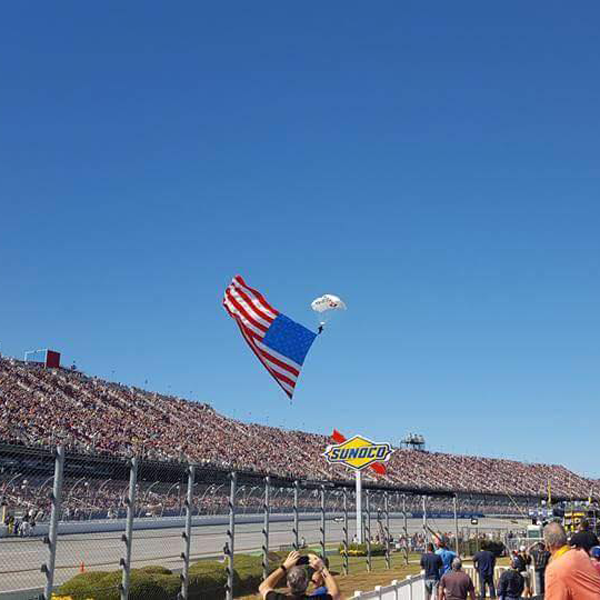 NASCAR races typically feature our patriotic show, an American flag demonstration skydive. Our parachute team will exit the aircraft over the raceway and descend to a precise landing, thrilling the spectators, making an amazing opening ceremony show. If you are planning a baseball opening ceremony, event opening, patriotic show, Team Fastrax™ has a demonstration skydive to match your needs. 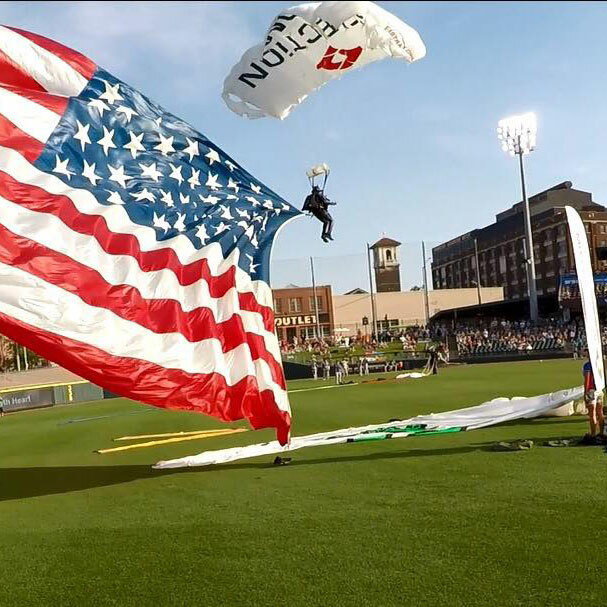 Baseball events typically feature our patriotic show, an American flag demonstration skydive. Our parachute team will exit the aircraft over the baseball stadium and descend to a precise landing, thrilling the spectators, making an amazing baseball opening show. If you are planning a patriotic event, fireworks show, or 4th of July celebration, Team Fastrax™ has a demonstration skydive to match your needs. 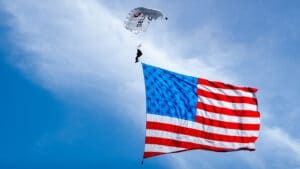 Patriotic events typically feature our American flag demonstration skydive. Our parachute team will exit the aircraft over the area and descend to a precise landing, thrilling the spectators, making an amazing American show. If you are planning a golf event, charity event, or veteran support event, Team Fastrax™ has a demonstration skydive to match your needs. 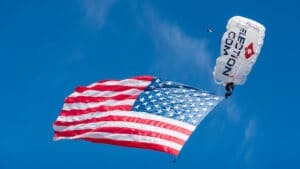 Golf events typically feature our patriotic show, an American flag demonstration skydive. Our parachute team will exit the aircraft over the golf course and descend to a precise landing, thrilling the spectators, making an amazing opening to any charity or golf event. Nothing thrills airshow spectators more than The Team Fastrax™ professional skydiving team! No other parachute team can combine the largest flags flown under parachute with freefall smoke and pyrotechnics, canopy formations, high speed flying wingsuits, tandem skydiving, Live 1080 HD air-to-ground Video and high performance canopy piloting into a singular stunning On-Time, On-Target performance. The Team Fastrax™ professional skydiving team has performed for millions of spectators at airshows and festivals all over the world including the Dayton Airshow in Dayton, Ohio, The Air-Power Expo in Fort Worth, TX, and The General Aviation Forum in YanChi County, Ningxia Province in China. 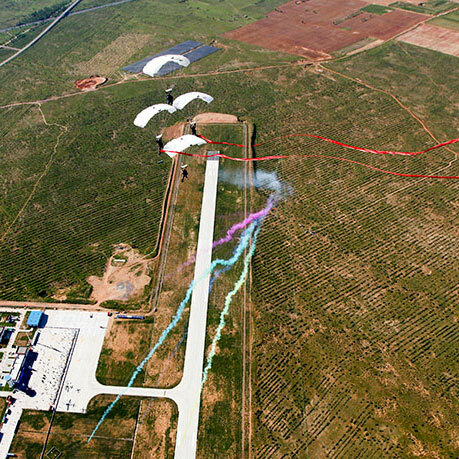 Team Fastrax™ is the largest professional parachute demonstration team in the world. The team roster has more than forty active members with a culmination of more than 175,000 skydives. A Team Fastrax™ demonstration skydive typically consists of multiple members exiting one of our aircraft over a large crowd such as an airshow or major sporting event and descending to a precise landing, thrilling the spectators. Our parachute team jumps at balloon festivals, air shows, NASCAR, Indy Race League, Formula One, symphony performances, golf courses, amusement parks, tennis courts and veteran support events. The Team Fastrax™ professional skydiving team has performed at various sporting venues such as Major League Baseball, the National Football League, Major League Soccer, NCAA baseball, football and lacrosse, high school sporting events and others; sometimes dressed in mascot costumes and franchise uniforms. Our skydive demonstration performances can be seen in numerous movies and commercials and our world class stunt team has performed in multiple television shows. We know that the breadth and depth of exhibition skydiving venues are deep and wide and we have not seen it all, sometimes people surprise us with new and unusual venues, so surprise us. The above painting hangs at our National Training Center and was commissioned in 2003. The painting represents one of our most important missions as a team, to fulfill dreams. 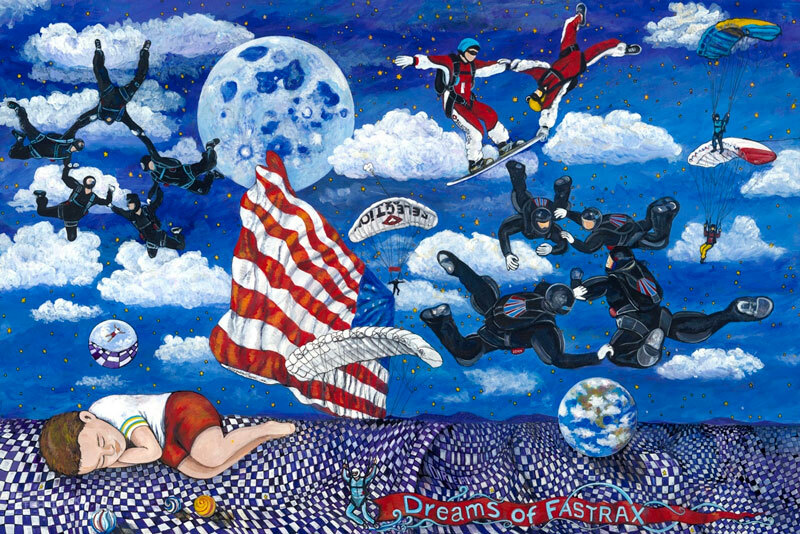 Dreams of Fastrax was created in 2002 as a way to facilitate the dream of flight for terminally ill children. 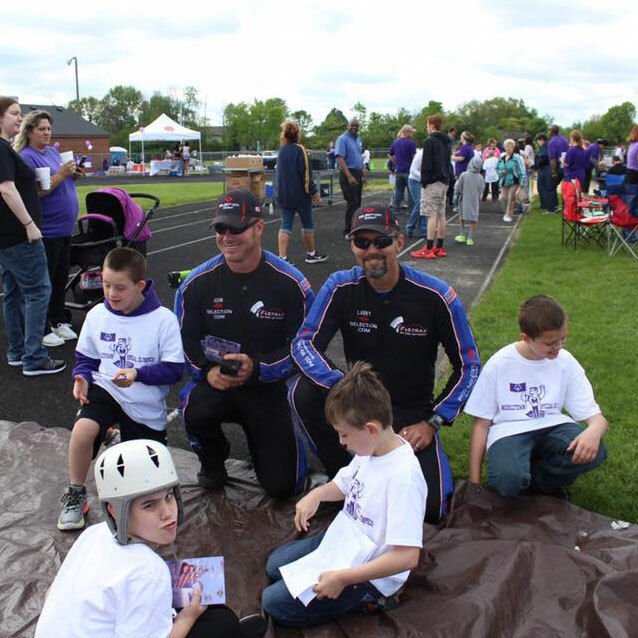 Team Fastrax travels throughout the United States visiting terminally ill children and in many cases takes them flying in our aircraft, a local wind tunnel or in some cases skydiving. The SELECTiON.COM® Ohio Challenge Hot Air Balloon Festival and Team Fastrax™ Warrior Weekend to Remember is family oriented and fun. There are many public events where you can honor and meet over 40 combat injured warriors and more than 8 Gold Star Families who have made the ultimate sacrifice in losing a loved one in combat service to our Nation.